In the Amazon river, a scientist is eavesdropping on Piranha calls to figure out better ways to keep tabs on the ferocious fish. 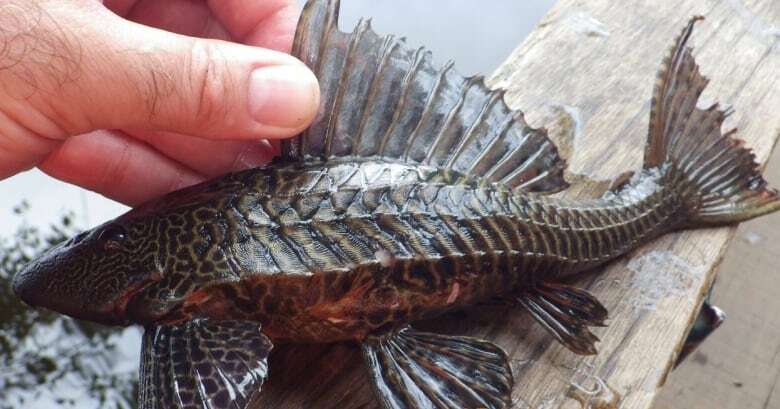 A researcher dubbed "The Fish Listener" has set his microphones on the Amazon river to paint a picture of life inside one of the largest rivers in the world. In doing so, he's caught some never-before-heard sounds of piranhas barking, in a showdown between these fierce predators and screeching catfish. It's part of the first comprehensive study of fish vocalizations in the Amazon. "What I was trying to do was collect some of the first information we have on the sounds of, not only piranha, but other fishes in the Amazon taken in their natural habitat," Dr. Rodney Rountree told Quirks & Quarks host Bob McDonald. It wasn't exactly simple getting the sharp-toothed predator to cozy up to the microphone. "They don't particularly like being handled," he said. Rountree recorded 60 different species of fish, and over 500 individuals, during his time on the Amazon river in Peru, including 4 different types of piranhas and several catfish. "When fish are captured we would then basically gently hold the fish under water to try to stimulate it to make a sound," he said. "We have an underwater microphone called hydrophone that we place in either a container or aquarium or in this case in the river itself. And so we hold the fish near the hydrophone to get the best quality sound." The piranha barks he captured are some of the first recordings that exist of piranha vocalizations in the wild. He believes they're distress calls, made because the fish aren't exactly thrilled about being handled. "The purpose of them is to produce a startle response in the predator. So you make the sound and hopefully it startles the predator long enough that you can make a quick getaway." 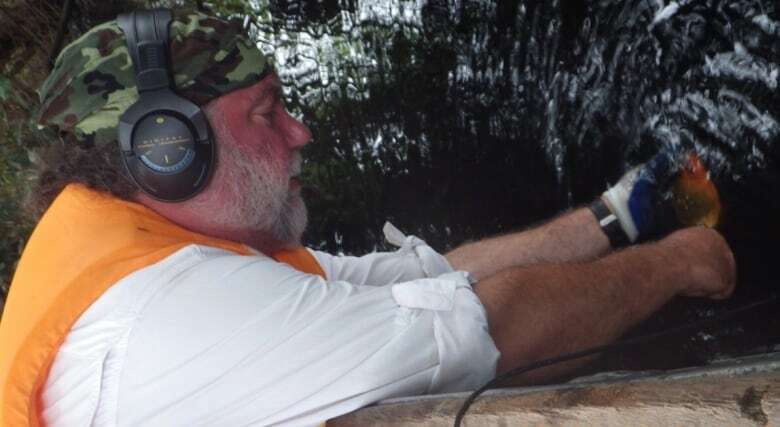 He also recorded several soundscapes of the river, including a feeding interaction between catfish and piranha. 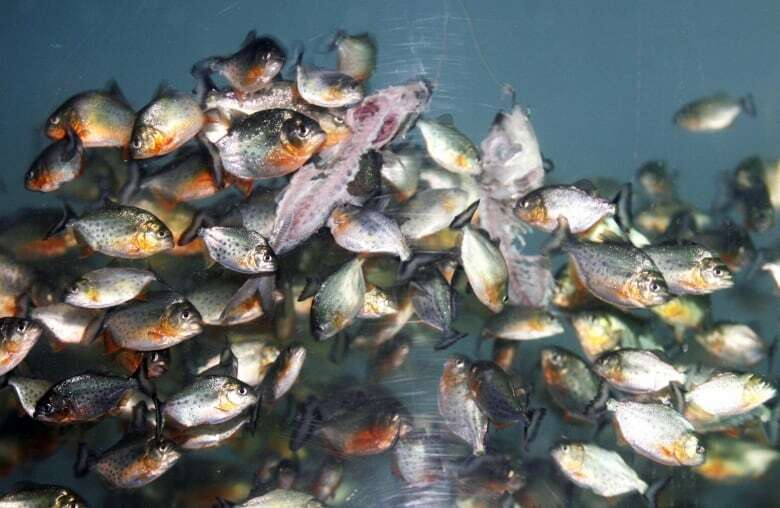 "The sound clip happened to be during a period when Piranha were actively feeding. 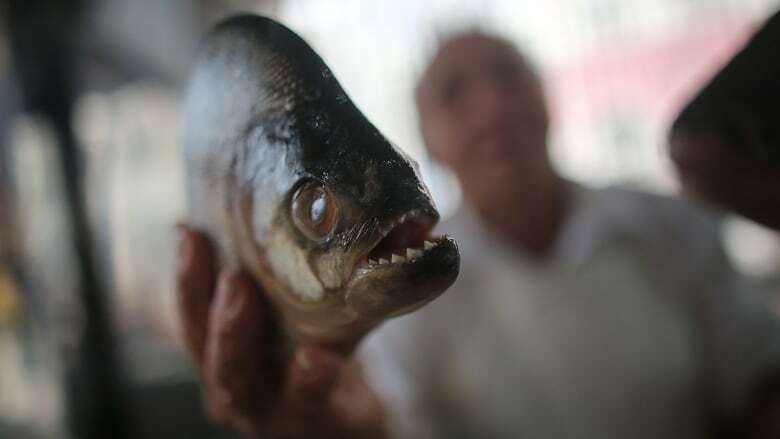 And so what's happening is the piranha are attacking the fish and they're they're basically making their own disturbance sounds," he said. "It's absolutely amazing. Most of these sounds have never been recorded." The Amazon River, stretching over 6000 kilometers across South America, has the largest drainage system in the world, with a greater volume of water than the next six rivers combined. All that murky, rushing water presents a challenge for researchers trying to monitor the species in the river. By recording the piranha barks, as well as the other sounds of the Amazon, Rountree hopes to help future scientists keep track of the fish in the river. "The fishes that do vocalize, once we can identify their sounds and have enough data to accurately describe their sounds in detail, we could then go out and drop a hydrophone in water and listen for a period time, do we hear that fish there or not."